The Gnu Hyak allows you to bypass the learning curve and get straight to the action. The Hyak features a directional twin shape that allows this deck to be easy riding and versatile. 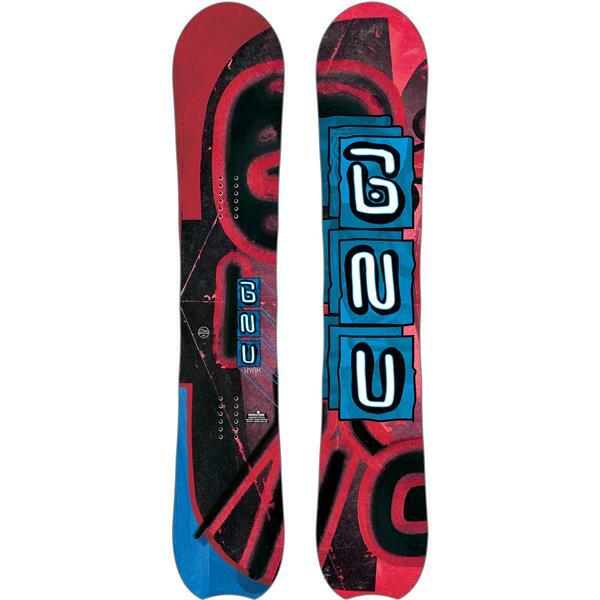 This board features Gnu's Original Banana Contour camber profile which adds a rockered zone in between the feet with a slight camber underfoot for a loose and playful profile that revolutionized snowboarding and makes this board extremely easy to ride. Gnu adds their patented Magne-Traction edge on the Hyak which acts like a serrated bread knife by adding multiple contact points down the running length of the edge for a stronger edge hold on icy and hardpack terrain that you won't get from a standard steel edge. Polish the Hyak off with an Eco-Sublimated extruded base for a board that does not require much maintenance and can take a beating from your day to day trail bashing. The Hyak has been a favorite for riders who have just been getting started and for the seasoned pro's who crave a playful medium deck to devour the whole mountain.